When it comes to oral health services for you and your family, don’t settle for second-best. Not only does John Appleyard Dental provide the common dental procedures and treatments every patient can benefit from, but we also offer a number of additional services due to our team’s impressive qualifications, experience, and knowledge within many facets of dentistry. Our wide range of high-quality general dentistry services makes John Appleyard Dental your ideal, go-to family dentist within Albury. Our professional and friendly team treat each patient like a member of our own family and believe that no procedure or appointment should be rushed. Whether you’re receiving a wisdom tooth extraction, root canal therapy, or even a general check-up and clean – we take the time to thoroughly explain treatment to each patient, whilst answering any questions they may have along the way. At John Appleyard Dental, we understand the way your smile looks can have a significant impact on your daily confidence and self-esteem. This is why we also offer state-of-the-art cosmetic dental services, including everything from at-home teeth whitening kits and stunning veneers, to seamless white fillings. Gone are the days of quick fixes and unsightly results. We put our patient’s happiness and outcome above all else. In 1992, John travelled to Sweden to undertake Surgical and Prosthodontic (Crowns/Bridges & Implant Supported Solutions) training at the prestigious Branemark Institute for Dental Implants and Oral Rehabilitation. He is an Accredited Implant Surgeon/Practitioner from the University of Gothenburg – where original modern Oral Implants were invented and rigorously scientifically researched. Between 1983 and 1986, Dr Appleyard undertook Post-Graduate Hospital Resident Training in Oral Diagnosis, Oral & Plastic Surgery, Oral & Maxillofacial, Head & Neck Cancer Surgery, and Orthodontics in Scotland and England. He has also undertaken an advanced course in Surgical Anatomy relating to Oral Surgery at University of NSW under guidance of renowned Dr Dzung Vu. Additionally, Dr Appleyard was the Consultant Dental Surgeon to Tallangatta Health Service. We pride ourselves on treating patients of all ages with a number of general and additional services to suit their individual needs. We work hard to ensure that your treatment is always custom, and will only recommend what’s necessary to achieve the best outcome for you. To experience the highest quality of care provided by John Appleyard Dental, please contact our friendly team today! 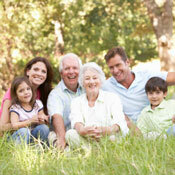 We look forward to assisting you and your family with your total oral health care needs.